We’re all thankful for that one friend in the group—you know, the one who always seems to just make things happen. Get entrance to a sold out sporting event without tickets? No problem. Talking your way into backstage access at a concert? Done. OK, maybe we don’t all have that kind of friend in our group, but we sure wish we did. How great would it be to be friends with the type of person who is not afraid of talking to anyone, about any topic, in any situation. 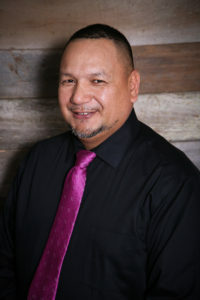 That combination of casual confidence and ability to connect with people is what has given Rick Camacho so many incredible opportunities throughout his life. With music and sports at the epicenter of his passion and life’s work, Rick has an impressive resume’ and network of celebrity contacts to his record. Hidden behind the glamour of limo rides with Jay-Z and both television and radio features are the years of hard work that opened to door to all of those moments. Having paid his dues by pounding pavement and promoting local performers and song releases for up and coming artists, Rick’s radio experience also includes being an on-air DJ and liaison to some top artists. Having recently started his own online radio station, he now has a chance to fuse his background in the music industry with his love for football—fantasy football, in specific. “Yeah, I’m that guy that’s in 9 different leagues,” he admits with an infections laugh. His transition to the mobile DJ world was borne out of the desire to network in a different way. “I’m a believer that music is in your soul and will bring all of the happiness out of you,” Rick explains, “and I just love working with so many different clients and their family and friends to continue to spread that love and happiness.” It’s the connection between music and people that puts Rick in his happy place. Plus, he gets to use those DJ skills that he’s been sharpening over several decades. For all the memorable experiences he’s had (including the unbelievable stories he could share from them) and all the fun jobs he has worked, there are two other titles he holds that he’s truly proud of, that of being “husband,” and “dad.” His wife and each of his four kids have all been witness to the phenomenon of being out in public and always seeming to run into someone that knows Rick and is excited to engage in conversation with him. Whether it’s his family, close friends, or the countless people he runs into on the street, the one thing they all seem to share is being thankful to know Rick is “that one friend” in their group.